From The Jacket This volume is devoted to the large collection of India miniatures executed over a period of three centuries from about AD 1550 until AD 1800. All these paintings were acquired by one of the great collectors of the worlds Sir Alfred Chester Beatty (1857-1968) and at present, are lodged in the Chester Beatty Library, Dublin. Chester Beatty’s collection is superb and provides representative and thorough documentation of the period. It provides basic information about the Indian art during 16th – 18th centuries. The Library possesses eighteen illustrated manuscripts including the most prestigious Akbarnama, a chronicle of Akbar the Great, besides the royal Albums containing allegorical, apotheosis and dynastic portraits of the Mughal emperors and genre scenes portraying ordinary life. Each miniature is arranged (as far as possible) in chronological order and the theme of each miniature is give in brief with authors’ (T.W. Arnold and J.V.S. Wilkinson) comments on style and technique. Further, the rendering of the inscriptions found on the miniatures giving the name together other related information designate the volume as a reference work. 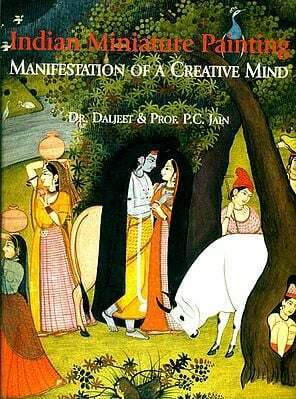 Illustrated with 103 paintings it encompassed all the major facets of the 16-18th centuries Indian art. Truly, the Catalogue is a timeless endowment of Chester Beatty for all of us. The Catalogue, first published in 1936 is now rare and a reprint of the same in agreement with its excellence fulfils the most cherished mission of the great Collector who was always anxious to make his material available to scholars by means of beautifully published comprehensive and descriptive catalogues, art exhibitions, and generously extending all facilities to the researchers, scholars and students at the Library. The Catalogue, initially published in a set of three separate volumes, not bound in one volume is handy. It will widely read by the students and specialists of art history and South Asian studies. An ‘Introduction to the volume by Professor S.P. Verma will be a fit guide to the charming field of Indian art. S.P. Verma (b. 1942), formerly Professor of History at Aligarh Muslim University, is the author of Art and Material Culture in the Painting of Akbar’s Court (New Delhi, 1978); Mughal Painters and Their Work, a Biographical Survey and Comprehensive Catalogue (New Delhi, 1994); Mughal Painter of flora and Founa, Ustad Mansur (New Delhi, 1999); Painting the Mughal Experience (New Delhi, 2005), and numerous articles in academic journals. Also, he is a practicing artist and the recipient of awards by the Indian Academy of Fine Arts, Amritsar (1981) and the Academy of Fine Arts, Kolkata (1982). In 1986-87, he was a Fulright Fellow at the Freer Gallery of Art, Smithsonian Institution, Washington, D.C., and a Senior Fellow (2004-06) at Indian Council of Historical Research, New Delhi. Foreword The cataloguing of my collection of Indian miniatures was originally undertaken by the late Sir Thomas Arnold. After his greatly lamented death in June 1930, the work on the catalogue was held in abeyance. However, the collection has been added to recently and I have been fortunate in securing the services of Mr. J.V.S. Wilkinson, who has revised and rewritten the portion which was practically finished, and also included the additions to the collection. The plates have been prepared by Messrs. Emery Walker Limited, and I feel sure that every one will appreciate the fine work they have done. Preface The manuscript and miniatures which are the subject of this catalogue have all been acquired by Mr. Chester Beatty in recent years. They include some of the finest products of the Mughal Court painters from the sixteenth century onwards, together with many examples, some of unique interest, of the work of provincial schools, mostly, to a greater or less degree connected with, or inspired by, Mughal Court at; and others which belong more obviously to ‘Hindu’ or ‘Rajput’ schools. The is, however mainly a ‘Mughal’ catalogue. While the arrangement is, generally speaking, chronological, it is not rigidly so, for several reasons. 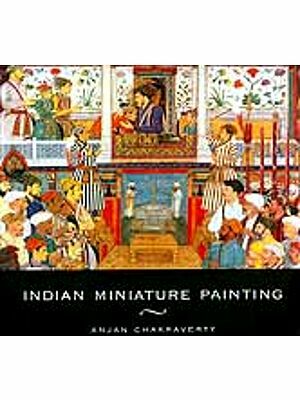 Indian miniature painting includes both book illustrations and the separate miniatures which it was the custom to keep together in albums, an album often containing examples of various styles and periods. It seemed advisable for cataloguing purposes to keep together sets separate miniatures belonging obviously to define collections, such as those from the Imperial albums. Another reason is that the collection was added to after the lettering of some of the plates had been finished. The catalogue is chiefly the work of the late Sir Thomas Arnold, who also selected most of the plates. The research was mainly his, and the opinions expressed are his, while the historical introduction – a characteristic example of his treatment of the subject – was almost completed by him. The present editor has made some changes in the arrangement, but he has tried to carry Arnold’s work to completion according to his ideas. It did not seem necessary to distinguish his own additions except in one or two instances. Precise allocation to local schools and attempts at exact dating in doubtful cases, especially with miniatures of the eighteenth century, have generally been avoided. Aesthetic criticism has been almost entirely omitted. The main feature of the catalogue was all along intended to be the illustrations, which were to be of the highest possible quality. They speak for themselves, and it is to be hoped that their fidelity as facsimiles, which can be vouched for, will be appreciated by scholars. The staff of Messrs. Emery Walker, Ltd., and in particular Mr. Wilfred Merton, who has taken a close interest in their production, have given of their best. The editor is greatly indebted to Miss Joan Kingsford’s constant help, and technical knowledge of miniature painting; and to the Oxford University Press for their skill patience.